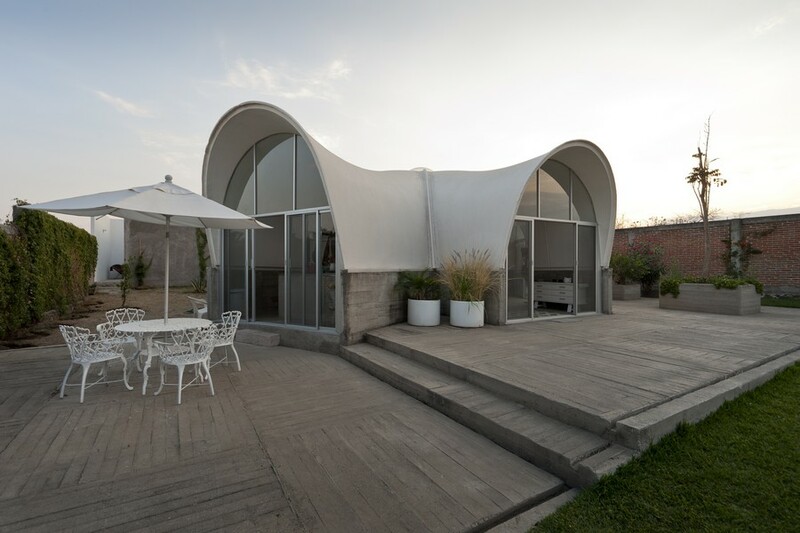 The Polyester House project started when a friend of the architects inherited of a number of polyester structures recovered from a modular house where they used to spend their weekends in the 1970s. 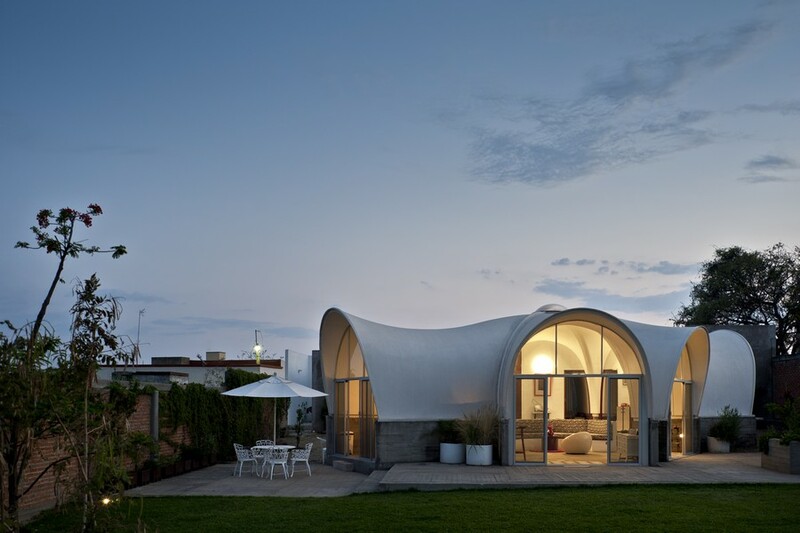 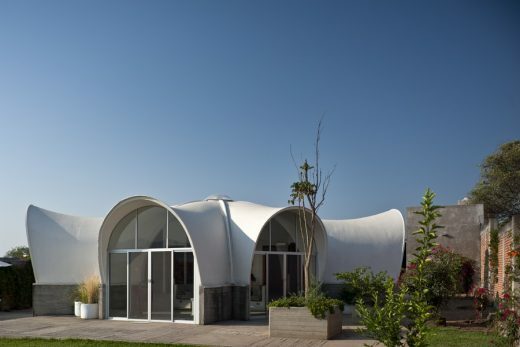 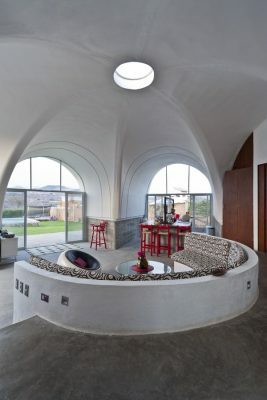 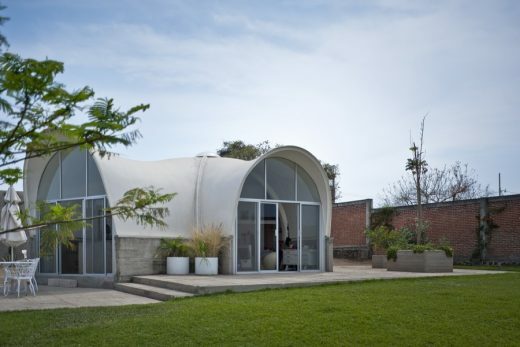 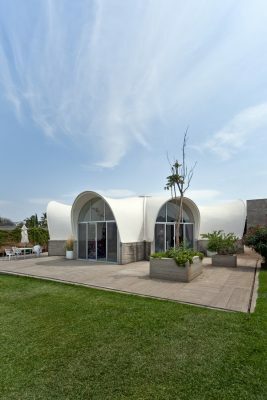 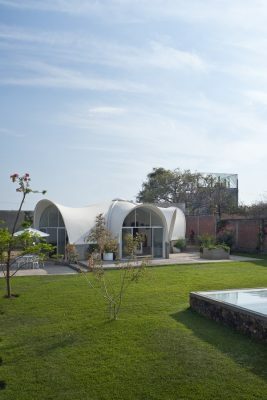 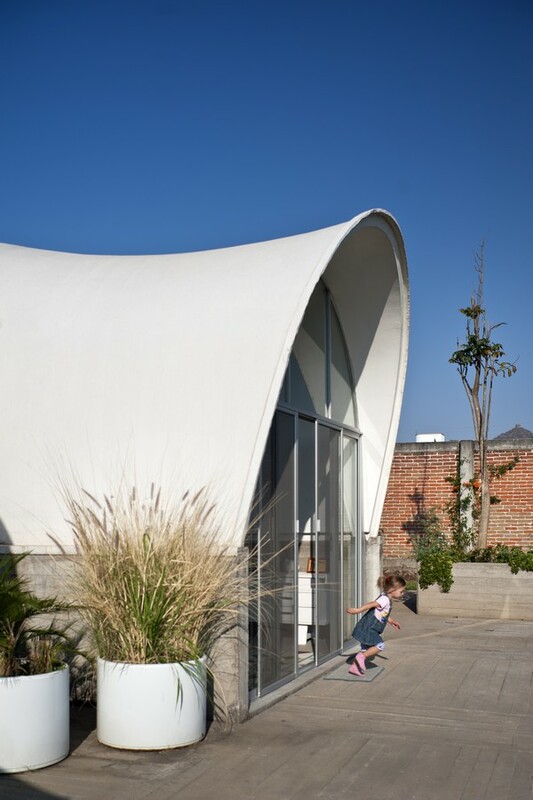 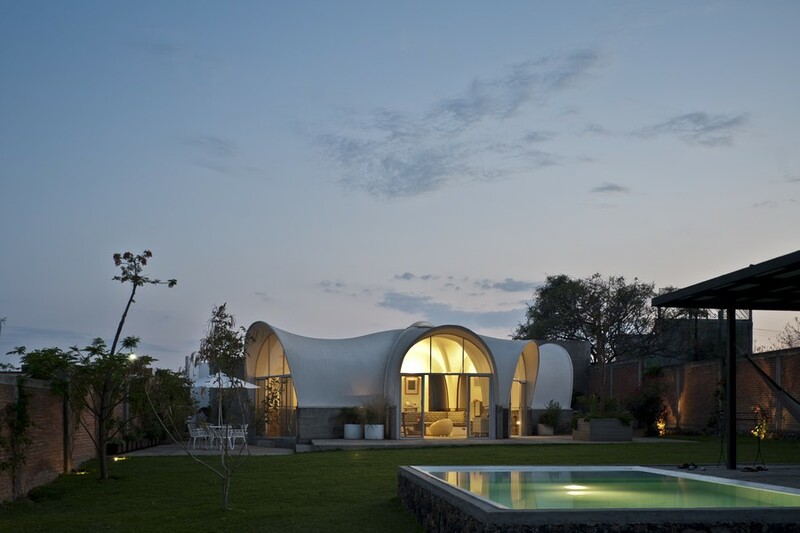 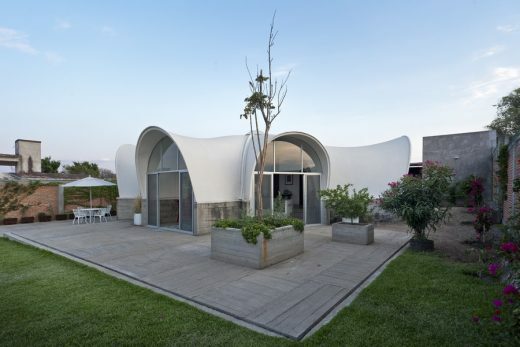 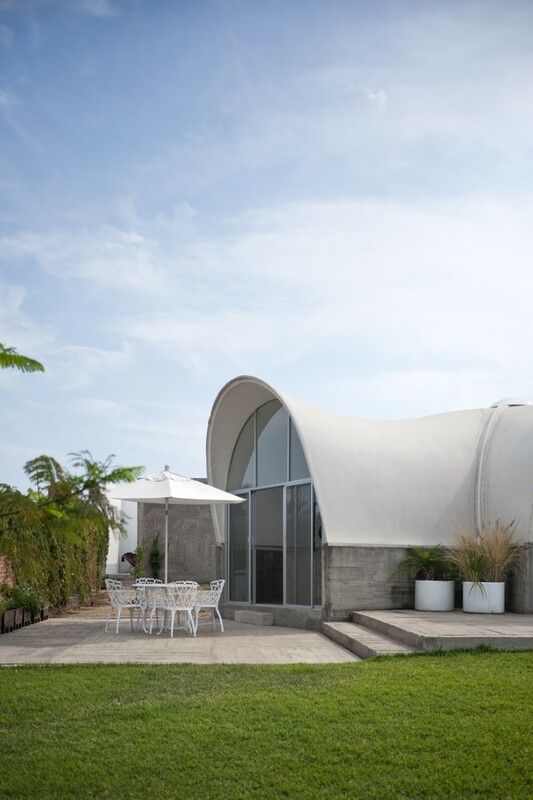 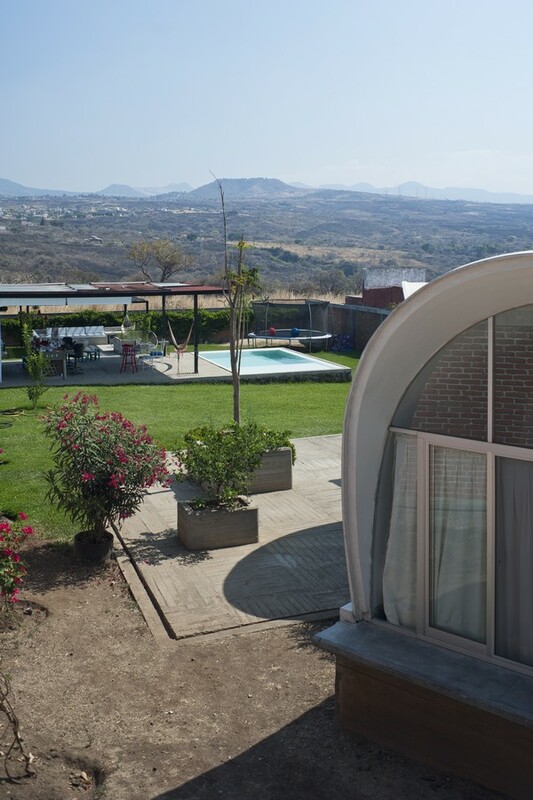 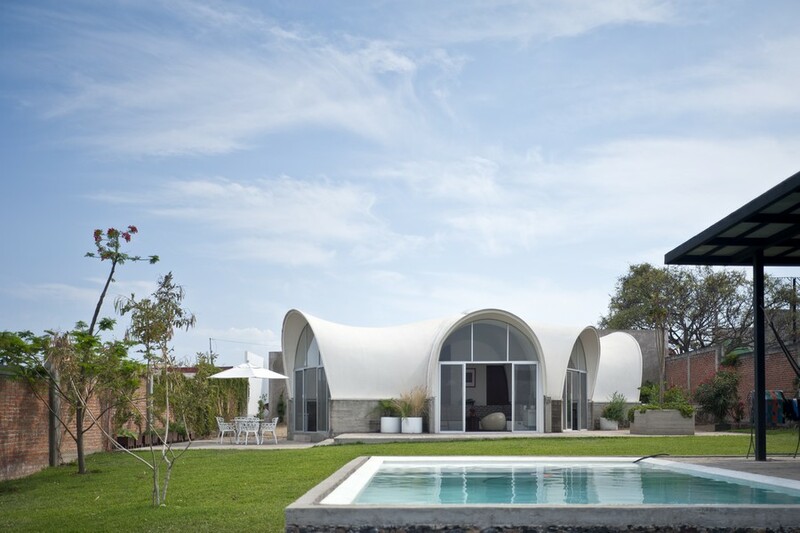 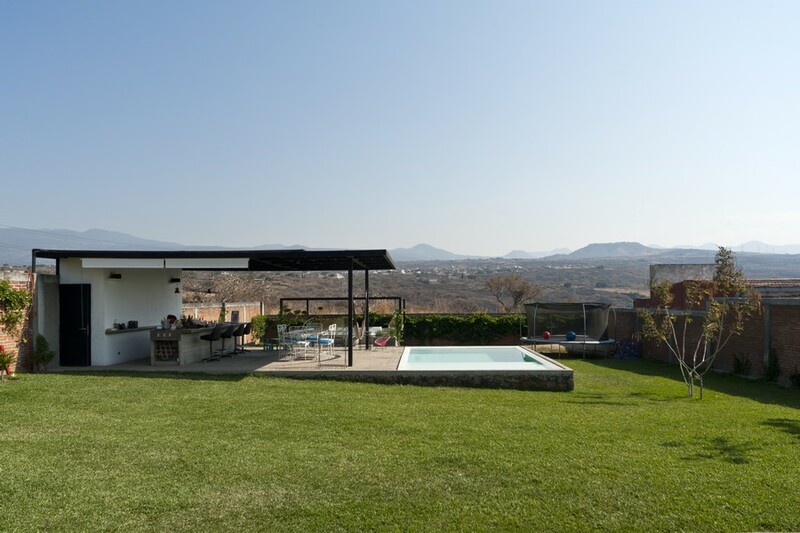 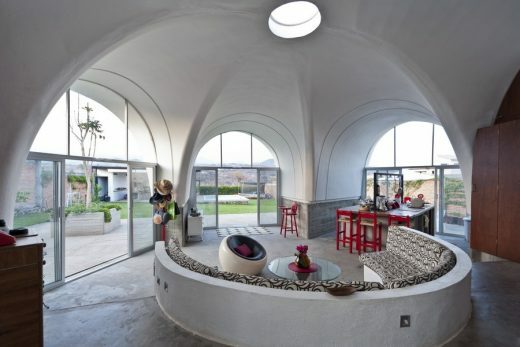 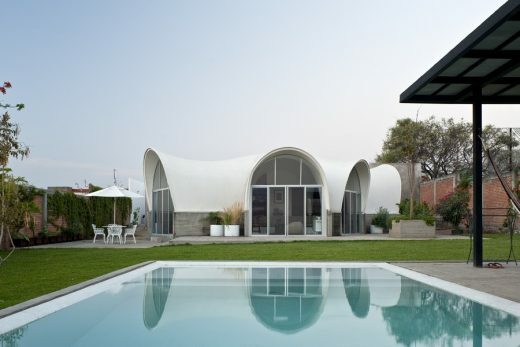 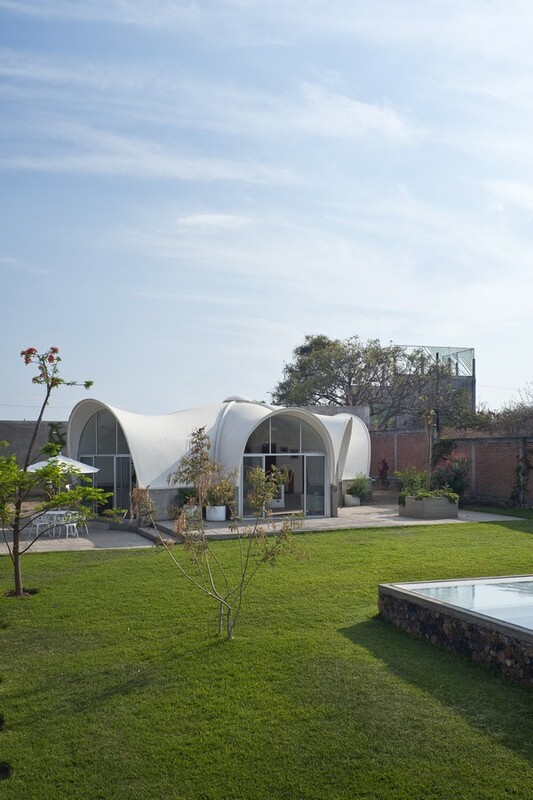 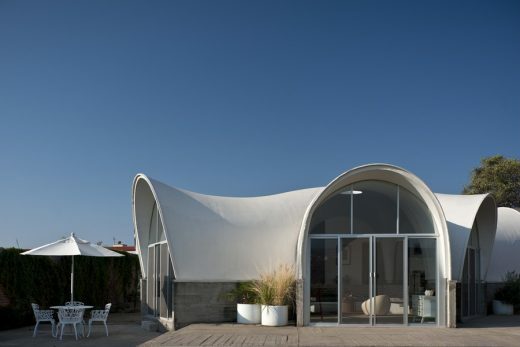 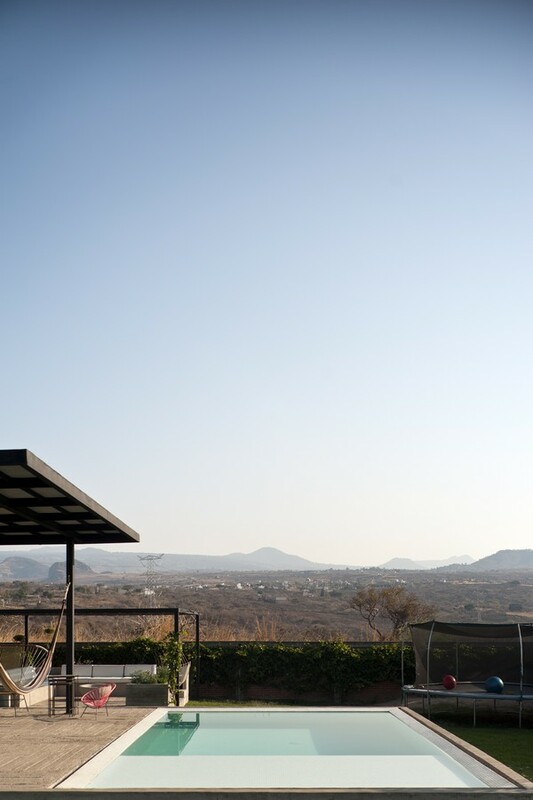 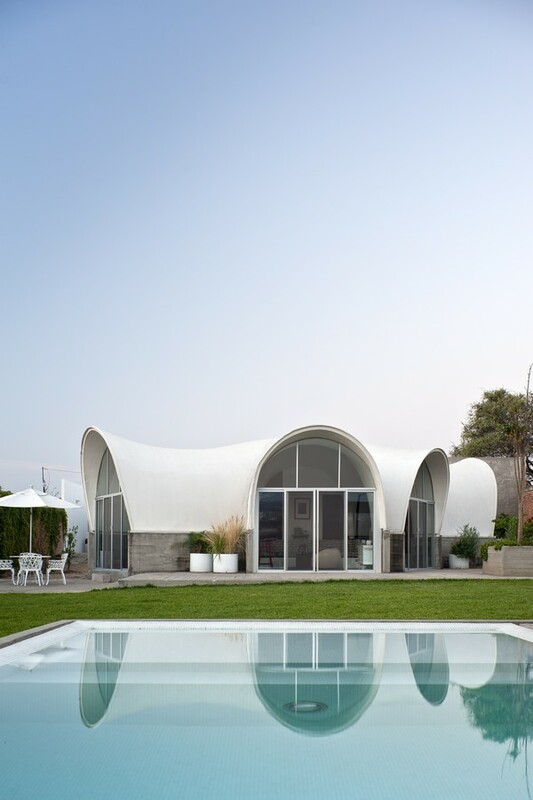 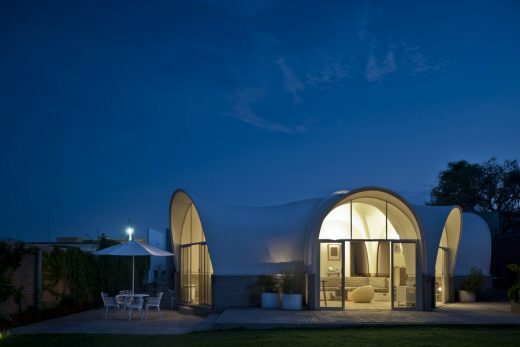 The owners bought a new plot of land in a small town, about one hour from Mexico City in order to accommodate these six parabolic modules and asked PRODUCTORA to reassemble and recycle these fiberglass shapes. 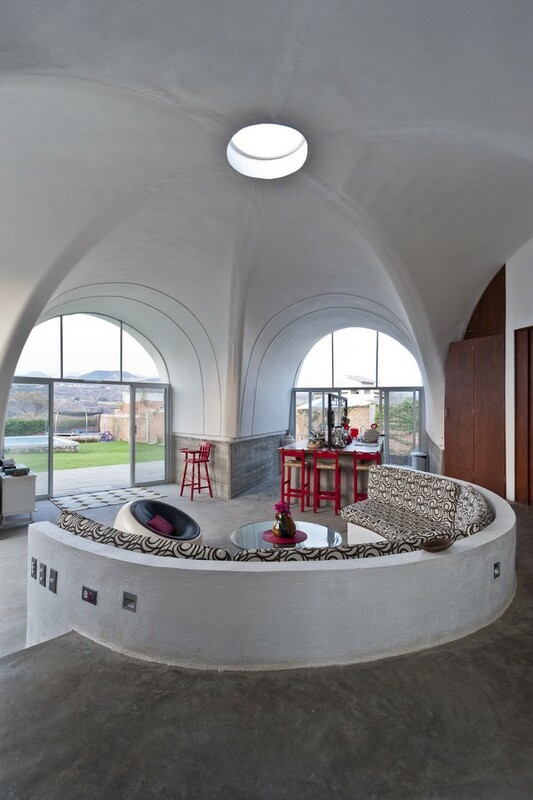 The modular domes were originally designed by the Mexican visionary architect Juan José Diaz Infante in the early seventies as part of his Kalikosmia project. 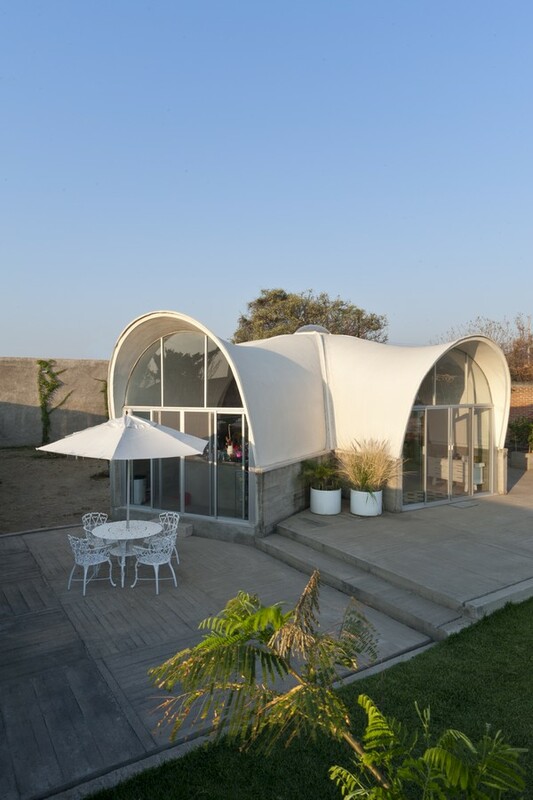 The prototypical houses consisted of six shells that could be assembled in different configurations. The experimental structure consisted of a polystyrene foam covered on both sides with a fiber glass reinforced polyester coating, just like a surfboard: a lightweight foam core with an outer surface of fiberglass in a polyester resin to give it rigidity and protect it from the elements. 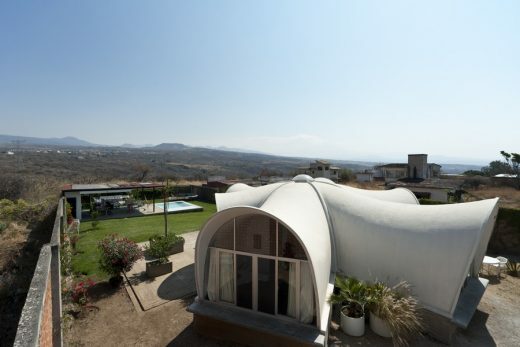 Since the original modules were seriously damaged – the house had been dissembled and stacked in a courtyard, so they were deformed and suffered breakdowns – they had to be brought back into their original shape by forcing them into the required shape again and covering them with a new coating of polyester and fiberglass. 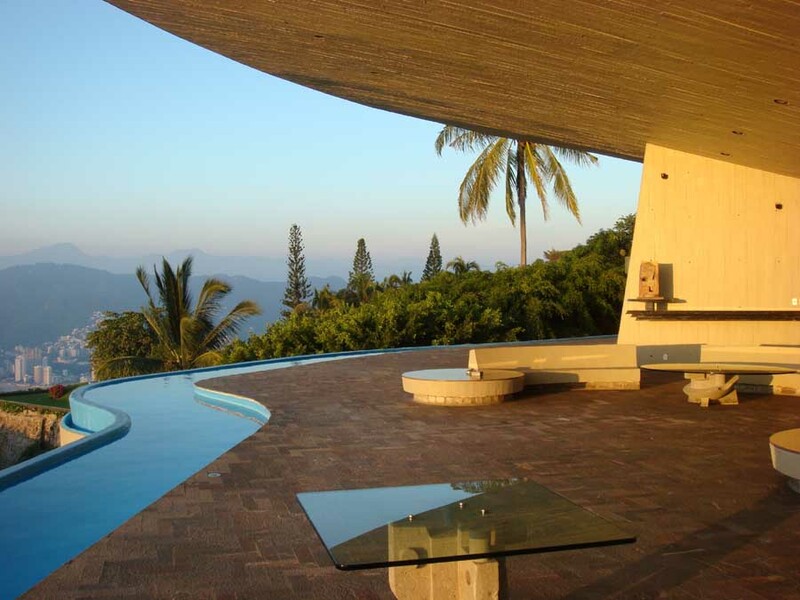 During that process also all the cracks and fissures were filled up and repaired. 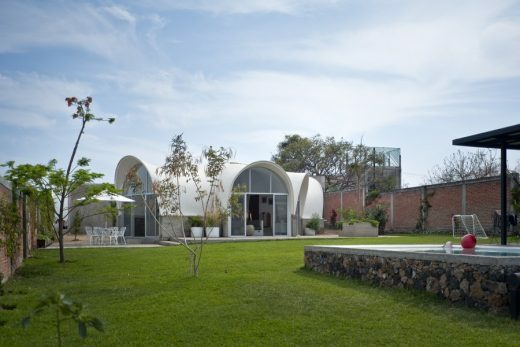 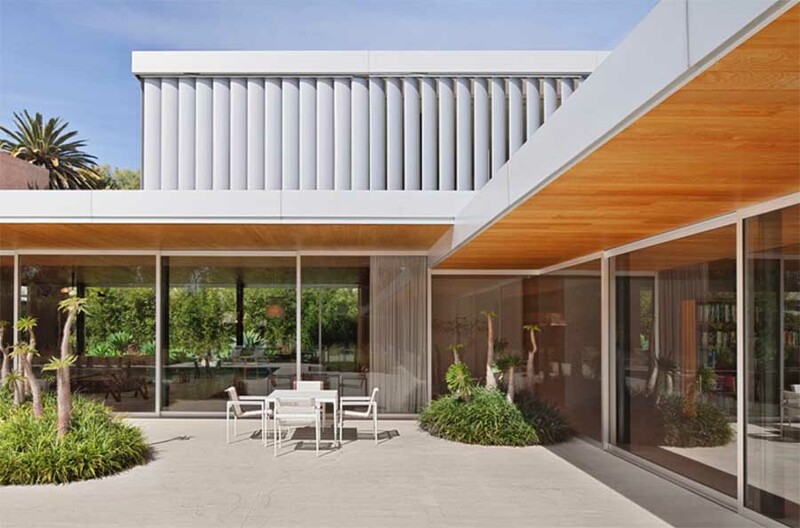 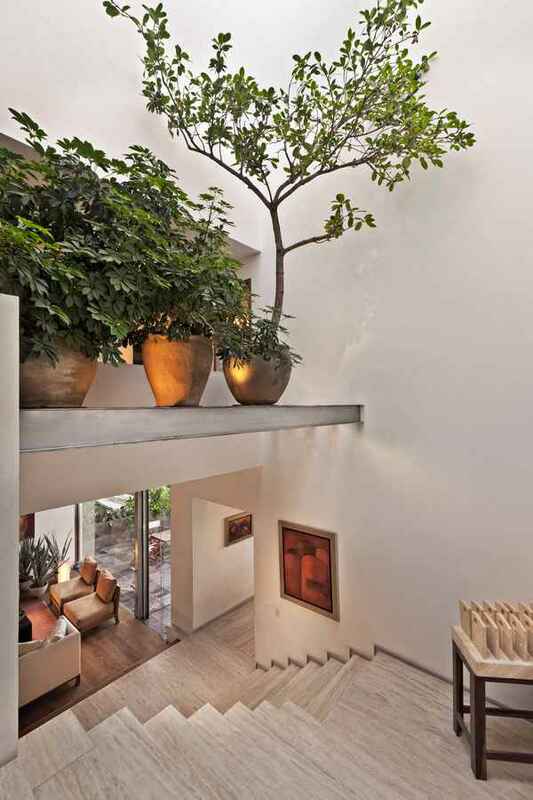 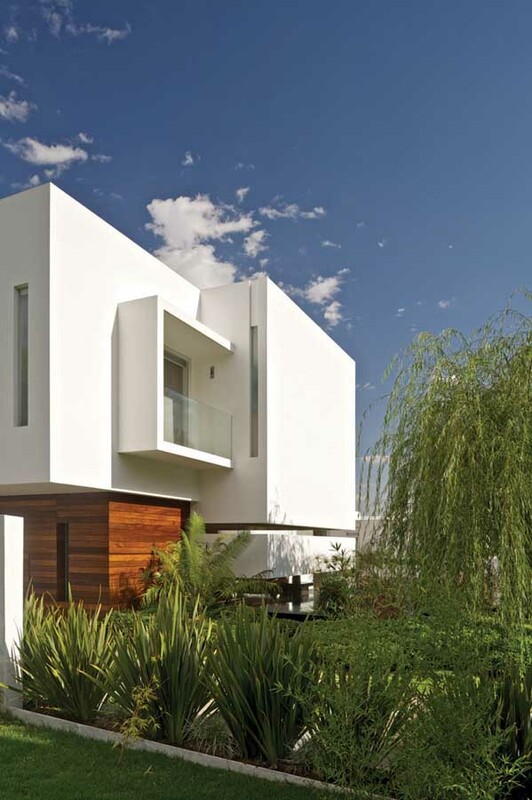 When the structure was put up again, PRODUCTORA added a concrete plinth to the fiberglass structure in order to create more generous indoor spaces. 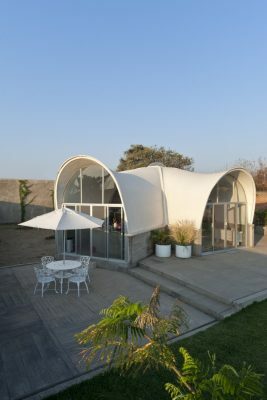 The rough concrete -the one we were able to make with the local construction workers- that contrast beautifully with the light, smooth and delicate surface of the white resin structures. This plinth also allowed us to create a certain height difference between the bedrooms and the day areas, giving them a difference in spatiality and creating a subtle threshold between the more public and the more private parts of the house. 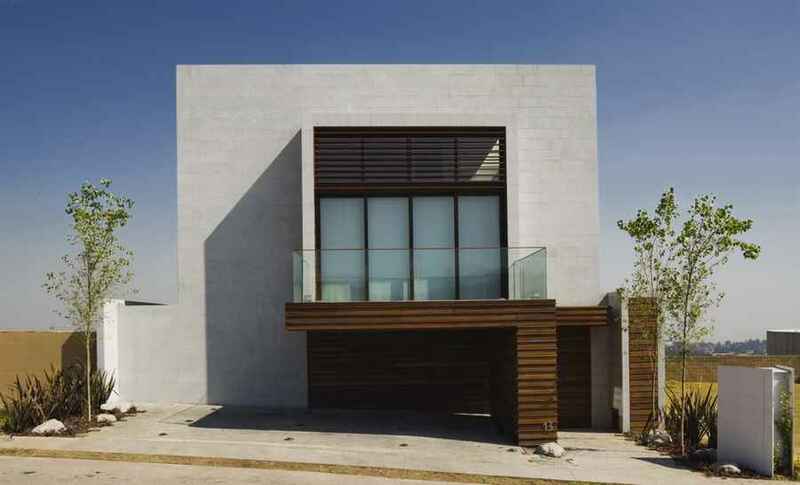 The rough look of the low concrete walls (a result of the second or third use of wood for formwork), was transcribed into the floor pattern of the terraces by pushing the same formwork into the wet concrete. At the scale of the whole plot, PRODUCTORA gave the powerful flower-like structure of the recycled domes a central position, while all the other additions are scattered around the plot. 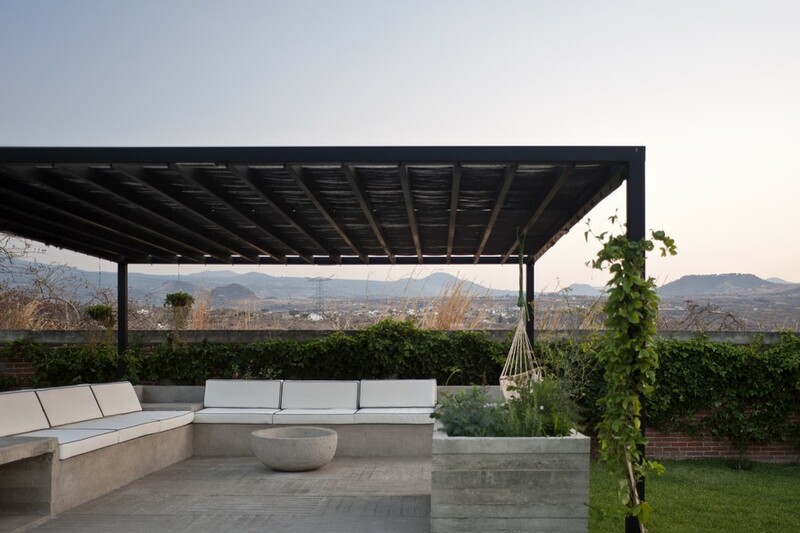 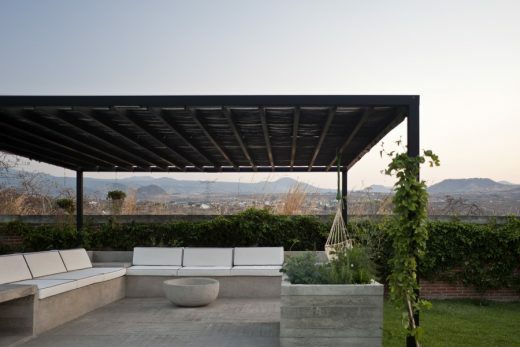 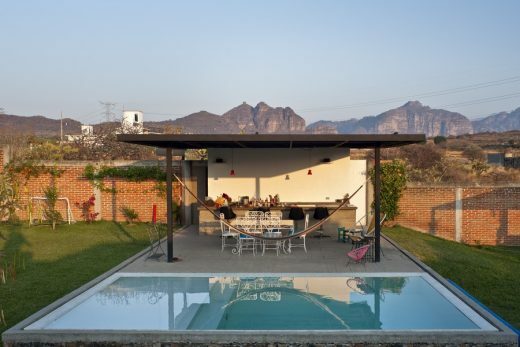 By considering the whole plot as a active field in which several activities take places (sleeping, cooking, swimming, sunbathing, guestrooms, grill area, etc..) the whole composition looses its centrifugal straight-jacket and becomes a more open and dynamic layout.